(NIDAHASA News) Parliament is the only place where people’s rights are preserved, leader or United National Party (UNP), opposition leader Ranil Wickremesinghe says. Parliament should be adapted as a stage to portray public struggles, he added. The responsibility of the entire opposition including that of the UNP should be to continue this strong struggle within the House, he told the UNP parliamentary group meeting at the Parliamentary Complex yesterday (07). 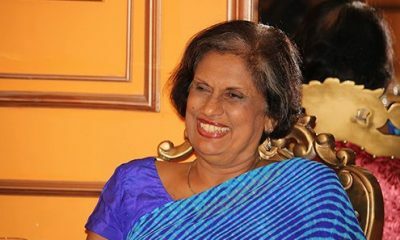 The UNP leader also said that the present regime disregarded Parliament, deprived the public of media freedom and democracy and handled financial matters according to their own whims. When questioned in Parliament on the constant happenings of abductions, disappearances and extra-judicial killings, government ministers do no keep tight-lipped, he added. Therefore, the UNP should initiate a struggle to provide strength and hope to parliament in order to secure people’s freedom and democracy of Parliament, the UNP leader said.